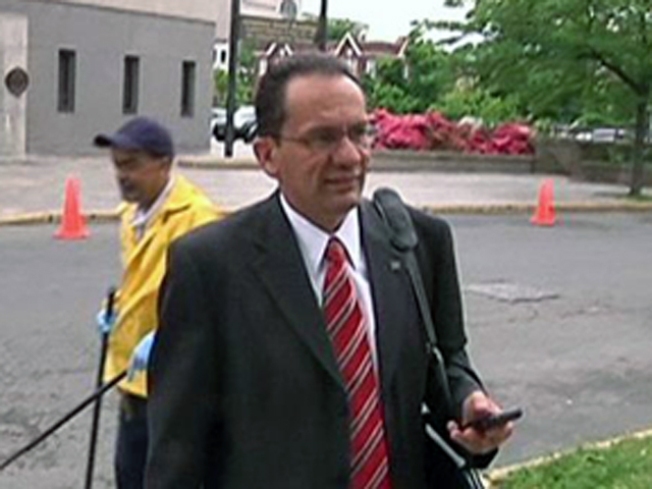 A conversation in Portugal set in motion the series of events that led to the investigation into Hartford Mayor Eddie Perez, the Hartford Courant reports. And the man believed to be the main source in the corruption case is expected to take the stand on Thursday. Rumors that city contractor Carlos Costa had done a lot of remodeling work on Mayor Eddie A. Perez's house -- for free -- started in the fall of 2006 house, the Courant reports. A Hartford man was in Portugal and spoke with one of Costa’s employee who said Costa’s employees had done a lot of free work and there were attempts to conceal it, the Courant reports. Those rumors four years ago, were the reason that Perez ask Costa to draft a bill for the work – and Costa reduced it after the mayor expressed “shock” at the figure, the newspaper reports. In addition to the Hartford man, who the Courant identifies as Jack Santos, others expected to testify include Michael Sullivan, the lead investigator in the case. The Courant reports that Perez told investigators that he took out a second mortgage and paid Costa’s bill.